Always looking for the best natural setting, for a walk, to enjoy the wildlife? Cauterets is just perfect for walkers and nature lovers as the lifts and cable cars make it so easy. Take the cable car and within minutes you are on the Lys ridge with a magnificent 360 degree panorama or at the beautiful Lac de Gaube beneath the mighty Vignemale. You must try the aerial rope way, the spa baths, the via ferrata, too much to do, impossible to get bored! The programme is presented only a guideline, the actual order of activities is for you to choose as you wish. As for the Via Ferrata decide the time upon your arrival. Arrival, settle into the residence. 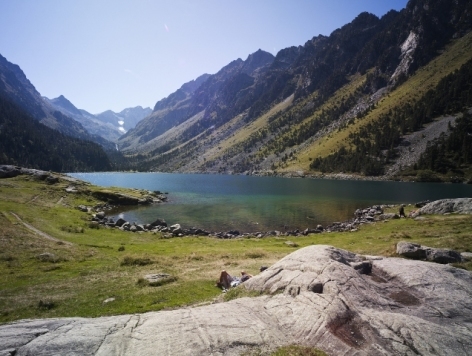 Lac de Gaube, access to the Puntas and Lac de Gaube cable cars and chair lift. 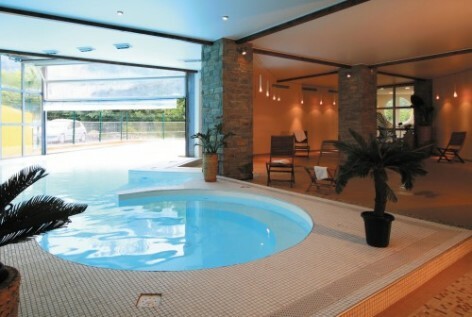 Free day and relaxation at Les Bains du Rocher spa. The Cirque de Lys, access by cable car and chair lift. The Via Ferrata circuit is accessible to all. You can climb and traverse the cliff faces without any previous experience of rock climbing. You are attached to a cable which enables you to progress along the circuit in total security. You are accompanied by a qualified mountain guide and all the necessary equipment is provided. 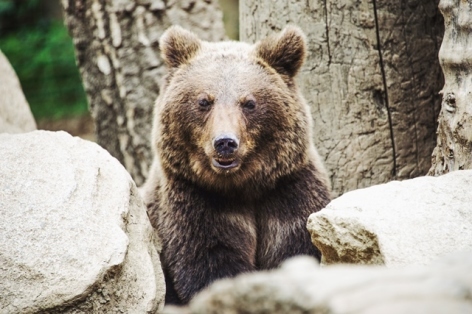 Visit to the Pyrenees Animal Park. 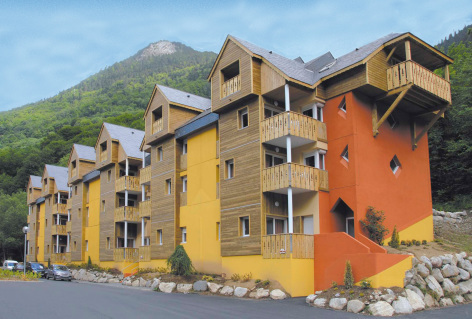 Your 3 star Lagrange residence is located in the village of Cauterets, the complex comprises 3 buildings of 5 storeys each and is constructed in a traditional Pyrenean style successfully blending warm woods, noble stonework and delicate slate work. 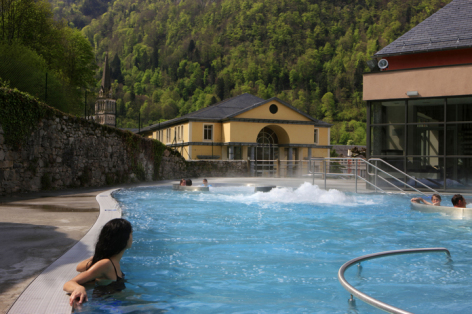 At just 1 km from the centre of the village and the spa baths you will enjoy the calmness of the setting and the lively entertainments of Cauterets village. For a winter stay you are just 500 metres from the cable car for an easy access to the ski runs, perfectly placed to enjoy the snow. Comprises three 5 storey building each with lift, half covered and heated outdoor pool, a spa area with sauna and steam baths, wi-fi. 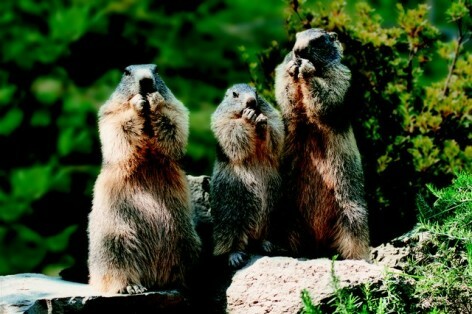 Possibility of breakfast. Cauterets is a bright and lively town. 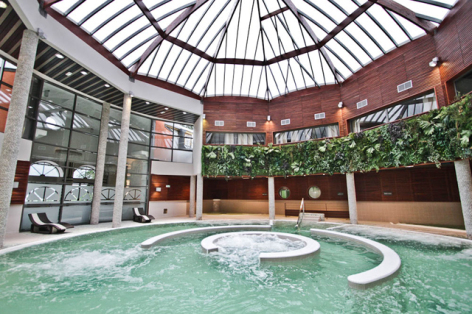 It is a true Pyrenean resort with a mix of modernity and Belle Epoque buildings, spa and mountains, wellbeing and protected natural areas. 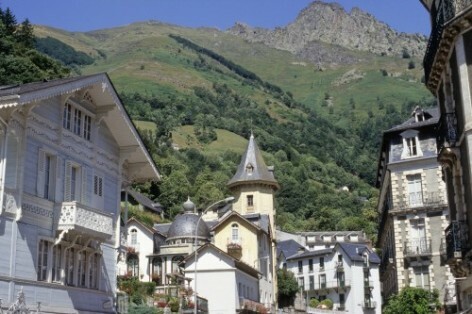 In Cauterets nature is beautiful and accessible, the village is the gateway to the Pyrenees National Park. - The easy access to the beautiful gentle valleys of Lutour, Marcadau, the Gaube Lake, the Cayan plateau, mountains with reach of anybody. The floors are jade, the walls are of pebbles, the Bains de Rocher spa proposes relaxation and wellbeing in an original and refined setting. 7 nights in studio in a 3 star Lagrange residence - Access to the Lac de Gaube (by the Puntas cable car and the Lac de Gaube chair lift) - Access to the Cirque du Lys (by cable car and chair lift) - 1 Via Ferrata circuit - 1 2 hour family pass for Les Bains du Rocher Spa - 1 family pass for the Pyrenees Animal Park - Booking fee. Local taxes - Cancellation insurance - Security deposit. The Pont d'Espagne is one of the more emblematic places in the Pyrenees National Park. The cable-car of Puntas and the Gaube chairlift means one can visit with little effort. 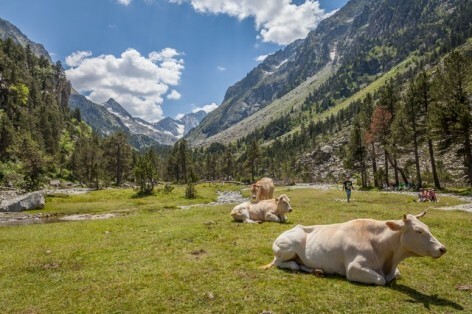 There are many walking trails for all levels in a delightful setting of verdant forests, waterfalls and tumbling streams, with superb wild flowers and maybe even the chance to spot an Isard. 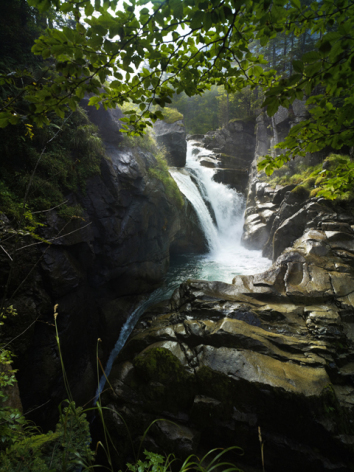 This is the classic trail to best disover all the waterfalls which have made Cauterets famous. 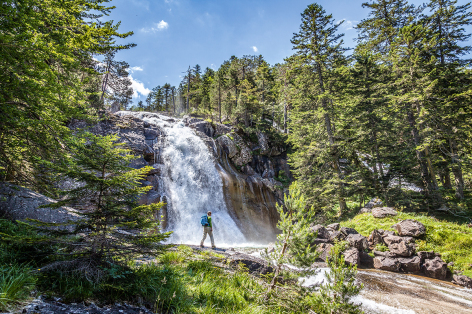 In the Jeret valley the trail follows the river, along the way you will come close to many fabulous waterfalls including the spectacular Cerisey falls. The path literally follows the edge of the river often through the spray from the falls. A lovely walk following the river in a wild and unspoiled valley to reach the sublime setting of the Estom lake. The lake has a wild setting, the grasslands are superb for alpine flowers, the surrounding summits are magnificent. Take a tour of the lake and admire the native rhodedendrons. At the very heart of the National Park this wide grassy valley was once the meeting point for Spanish and French shepherds who traded between themselves. It is a lovely place for a walk, great for a picnic on the water's edge, to chill in the shade of a pine and enjoy the fabulous view. At the Bains des Rocher, the Spa Cafe offers a dish of the day and an express pasta service. You can choose between penne, spaghetti or tagliatelli pastas, and bolognaise, salmon, pistou, carbonara, gorgonzola or arrabiata sauces. The cafe's terrace has one of the best views in Cauterets, overlooking the whole village with a fabulous view towards the Vignemale. The speciality of Cauterets are the berlingots which come in a thousand and one flavours, you can watch them being made in any one of 4 different sweet shops in the town. If so you must visit the Pavillon des Abeilles. A suprb place to discover the world of the bee, with glass fronted hives, videos and of course tastings of their various honeys. A real treat for honey lovers with passionate beekeepers to explain all.